Trust in us to change the way you see your skin. Many think of acne as a persistent skin condition amongst adolescents, causing them to feel uncomfortable or self-conscious. The reality is that acne is equally common among pre-teens and young adults. 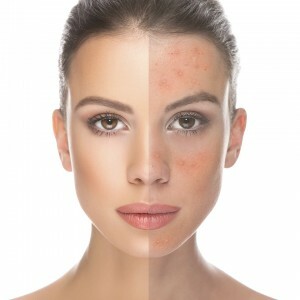 If you’re one of the millions of people in the world suffering from acne, then you’re well aware of how big a hurdle it can be to overcome, especially when it comes to your own self-esteem. The good news is that with the experts at Dermis, you can overcome this common problem, leaving you feeling confident and comfortable in your own skin. Acne is often characterized by pimples, cysts, oily skin, blackheads, and whiteheads. These developments are the result of sebum clogging hair follicles. Sebum is made up of accumulated fatty oils secreted by the skin, dead skin cells, and dirt. While pimples, blackheads, and whiteheads are common in healthy skin, hormones, bacteria, stress, cosmetics, and skin care products can all exacerbate these common issues and turn them into full-blown acne. Acne isn’t just limited to the face; it can show up on your back, shoulders, neck, chest, and even your arms. If it’s severe enough, acne can even leave permanent scarring on your skin. Depending on the severity of your acne, we will help you find an appropriate treatment that will get you the results you want. Basic treatments focus on removing what is plugging the duct of the gland in question and, if necessary, killing the acne bacteria. This is done either through the application of a product to the skin, through internal medication, or through the use of a cosmetic procedure that will clear the skin and eliminate the bacteria in question. Our Acne Treatments Are Available For All Ages. As a leading Ottawa skin care clinic, we are proud to be equipped with trusted TriFractional Technology by Pollogen®. This non-invasive, state-of-the-art treatment dramatically improves the look of acne-scarred skin by making use of three pulse fractional technology to safely and effectively resurface your skin, with minimal discomfort and downtime. The TriFractional Radio Frequency Energy penetrates deep into the tissue of the target area, creating micro wounds that trigger the body’s natural healing processes. Please note – This does not treat active acne; it helps with acne-scarred skin. This non-invasive, zero downtime procedure is used to resurface the skin. The uppermost, superficial layers of dead skin are gently exfoliated with a controlled flow of crystals. Microdermabrasion stimulates cell and collagen productions, reducing the appearance of large pores; additionally, oil, dirt dead cells, and bacteria are removed, leaving the skin healthier and free of acne bacteria. Please note – This does not treat active acne; it helps with acne-scarred skin. * Consists of a group of microbial organisms which favor the beneficial bacteria in the body while inhibiting harmful microbes like acne bacterium.